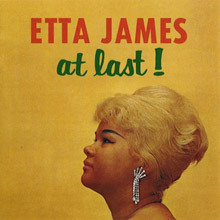 Few female R&B stars, enjoyed the kind of consistent acclaim Etta James received, throughout a career that spanned six decades; the celebrated producer Jerry Wexler once called her “the greatest of all modern blues singers,” and she recorded a number of enduring hits, including ‘At Last’, ‘Tell Mama’, ‘I’d Rather Go Blind’, and ‘All I Could Do Was Cry’. At the same time, despite possessing one of the most powerful voices in music, James only belatedly gained the attention of the mainstream audience, appearing rarely on the pop charts, despite scoring 30 R&B hits and she lived a rough-and-tumble life that could have inspired a dozen soap operas; battling drug addiction and bad relationships, whilst outrunning a variety of health and legal problems. 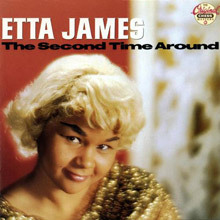 Etta James was born Jamesetta Hawkins in Los Angeles, California on January 25, 1938; her mother was just 14 years old at the time, and she never knew her father, though she would later say she had reason to believe he was the well-known pool hustler Minnesota Fats. James was raised by friends and relatives, instead of her mother through most of her childhood and it was whilst she was living with her grandparents, that she began regularly attending a Baptist church. James’ voice made her a natural for the choir and despite her young age, she became a soloist with the group and appeared with them on local radio broadcasts. At the age of 12, after the death of her foster mother, James found herself living with her mother in San Francisco and with little adult supervision, she began to slide into juvenile delinquency. But James’ love of music was also growing stronger and with a pair of friends, she formed a singing group called the Creolettes. The girls attracted the attention of famed bandleader Johnny Otis, and when he heard their song ‘Roll with Me Henry’ – a racy answer song to Hank Ballard’s infamous ‘Work with Me Annie’, he arranged for them to sign with Modern Records. 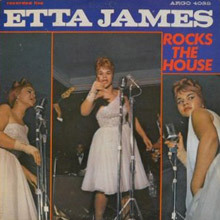 The Creolettes cut the tune under the name the Peaches (the new handle coming from Etta’s longtime nickname). 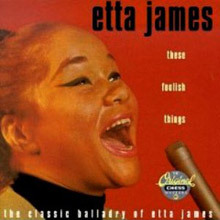 ‘Roll with Me Henry’ renamed ‘The Wallflower’, became a hit in 1955, though Georgia Gibbs would score a bigger success with her cover version, much to Etta’s dismay. After charting with a second R&B hit, ‘Good Rockin’ Daddy’, the Peaches broke up and James stepped out on her own. 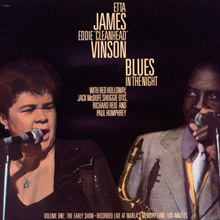 James’ solo career was a slow starter and she spent several years cutting low-selling singles for Modern and touring small clubs, until 1960, when Leonard Chess signed her to a new record deal. 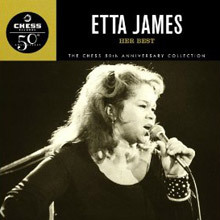 James would record for Chess Records and its subsidiary labels Argo and Checker, into the late ’70s and working with producers Ralph Bass and Harvey Fuqua, she embraced a style that fused the passion of R&B, with the polish of jazz and scored a number of hits for the label, including ‘All I Could Do Was Cry’, ‘My Dearest Darling’ and ‘Trust in Me’. While James was enjoying a career resurgence, her personal life was not faring as well; she began experimenting with drugs as a teenager and by the time she was 21 was a heroin addict. As the ’60s wore on, she found it increasingly difficult to balance her habit with her career, especially as she clashed with her producers at Chess, fought to be paid her royalties and dealt with a number of abusive romantic relationships. 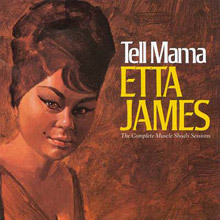 James’ career went into a slump in the mid-’60s, but in 1967 she began recording with producer Rick Hall at Fame Studios in Muscle Shoals, Alabama and, adopting a tougher, grittier style, she bounced back onto the R&B charts with the tunes ‘Tell Mama’ and ‘I’d Rather Go Blind’. In the early ’70s, James had fallen off the charts again, her addiction was raging and she turned to petty crime to support her habit. 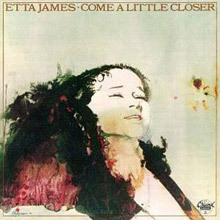 She entered rehab on a court order in 1973, the same year she recorded a rock-oriented album, Only A Fool (also known as simply Etta James), with producer Gabriel Mekler. Through most of the ’70s, a sober James, got by touring small clubs and playing occasional blues festivals and she recorded for Chess with limited success, despite the high quality of her work. In 1978, longtime fans The Rolling Stones paid homage to James, by inviting her to open some shows for them on tour and she signed with Warner Bros., cutting the album Deep in the Night with producer Jerry Wexler. 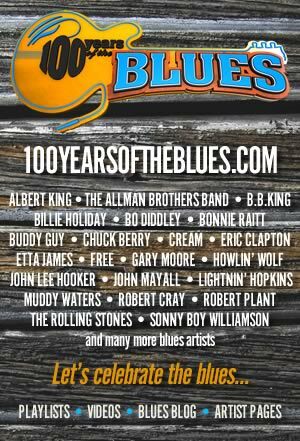 While the album didn’t sell well, it received enthusiastic reviews and reminded serious blues and R&B fans that James was still a force to be reckoned with. By her own account, James fell back into drug addiction, after becoming involved with a man with a habit and she went back to playing club dates, when and where she could, until she kicked again thanks to a stay at the Betty Ford Center in 1988. That same year, James signed with Island Records and cut a powerful comeback album, Seven Year Itch, produced by Barry Beckett of the Muscle Shoals Rhythm Section. 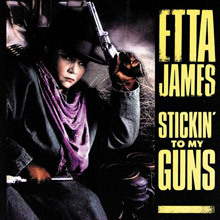 The album sold respectably and James was determined to keep her career on track, playing frequent live shows and recording regularly, issuing Stickin’ to My Guns in 1990 and The Right Time in 1992. In 2010, James was hospitalized with MRSA-related infections, and it was revealed that she had received treatment for dependence on painkillers and was diagnosed with Alzheimer’s disease, which her son claimed, was the likely cause of her outbursts regarding Knowles. James released The Dreamer, for Verve Forecast in 2011. She claimed it was her final album of new material. 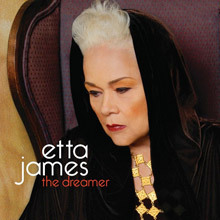 Etta James was diagnosed with terminal leukemia later that year, and died on January 20, 2012 in Riverside, California at the age of 73.